Is it time to replace your residential garage door? Perhaps your door is over ten years old and looks it. Maybe you’re in the mood for a décor changeup and you’re interested in Mediterranean-style garage doors. Houston residents might want to replace their garage doors for any number of reasons, but whether you’re interested in glass, steel or wood garage doors, the only place to go is Halo Overhead Doors. 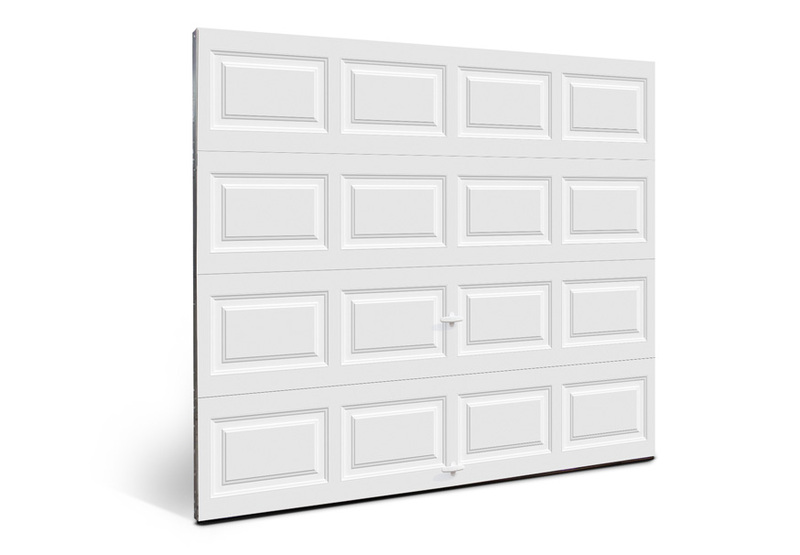 Why Halo Overhead Doors for Residential Garage Doors in Houston? For one, because we’ve got them all. Not sure where to find faux wood garage doors in Houston? Check out our Clopay® COACHMAN® Collection doors — sturdy steel doors with wood cladding overlaid so they are natural-looking on the outside and durable, tough steel at the core. Or try something from the CANYON RIDGE® Collection with ULTRA-GRAIN® finish — classic carriage house-style doors made of steel with a finish that gives them the look and feel of real natural wood. As the only Master Clopay Dealer in Houston, Halo Overhead Doors is in a unique position to offer you a wide variety of doors and styles that will suit virtually any home exterior. In addition to our selection of carriage house-style doors that look great on traditional homes, we have plenty of choices for those seeking glass garage doors in Houston, like the modern AVANTE® Collection — a masterwork of aluminum and glass that allows you total control over how much light and privacy you want in a garage door. At our huge showroom, you’ll find traditional doors, insulated doors, doors with a variety of customizable window and glass options and a wide range of colors, finishes and custom hardware to make sure you’re walking away with exactly the garage door you want for your home. You’ll be dazzled with the range of amazing door samples we have in stock for you to see. There’s a reason why the people behind Halo Overhead Doors have been doing business in Houston for over 25 years. We know garage doors and we know what people want. With the biggest selection and the largest showroom in Houston, there’s really no reason to go anywhere else when you want a garage door. We also offer the convenience of our highly skilled garage door professionals to come over and install your garage door once you’ve found one that’s perfect for you and your home. Don’t put off getting the garage door of your dreams any longer. Garage door replacement is one of the most worthwhile home improvements in terms of return on investment — and it can greatly beautify your home and enhance your home’s curb appeal. To find out more about our fantastic doors, there are plenty of great ways to get started. Come on by and visit our showroom, give us a call at 713-224-3667 or contact us online today.